People who say you must have a ceiling fan in the bedroom. How can you sleep without a ceiling fan?! 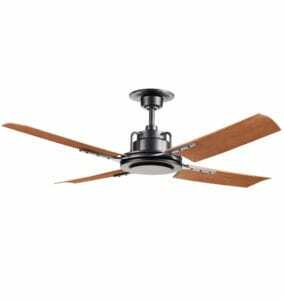 People who say most ceiling fans are ugly, so if you can’t find a good one…swap it with a nice looking light fixture. We’ve both had bedrooms with ceiling fans and without, and we don’t have strong feelings either way. And at the end of the day, it doesn’t matter what anyone thinks…you’re the only one sleeping and living there, so if it works for you then that’s perfect! I swapped my ceiling fan last year and absolutely love the instant upgrade it made to our master bedroom. We had an orangey wood one before, and I installed a sleek black one instead. It transformed the space and we use the fan every night. During the ceiling fan conversation on Insta Stories, many of you asked if there are any contemporary ceiling fans out there that aren’t big ugly eyesores. Lucky for you, we searched the internet and found some great ones. 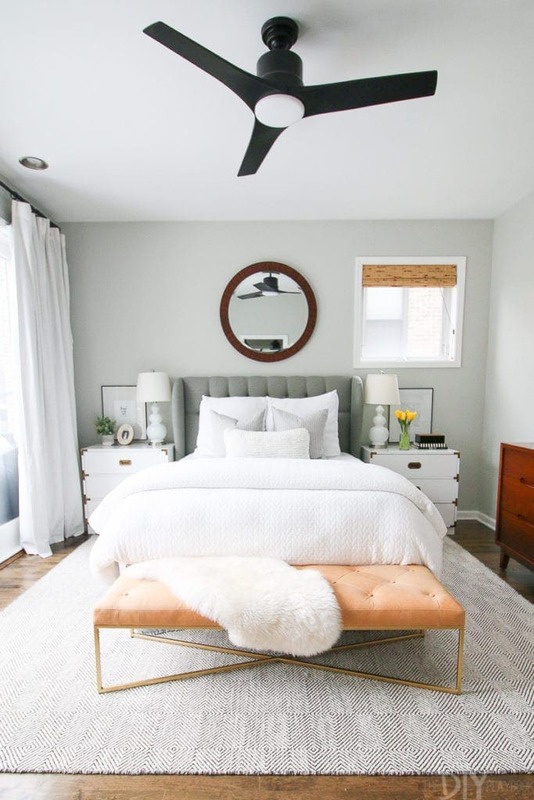 So if you want to keep a ceiling fan in your bedroom, but want it to look stylish, then we’ve got you covered with our picks! This is the fan I installed in our master bedroom and I absolutely love it. It comes with a remote control and it’s an LED light. So sleek & contemporary. 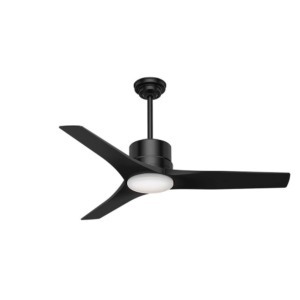 This ceiling fan has stellar reviews on Wayfair and it comes in a bunch of color combos. Love how contemporary this satin nickel one looks. 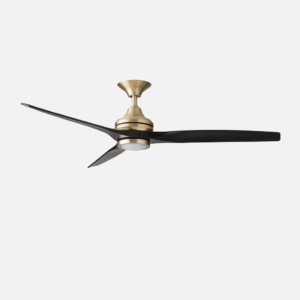 Rejuvenation can do no wrong in our playbook, and this ceiling fan is a good one. The walnut brown blades add some warmth to this industrial design. 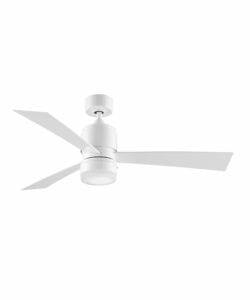 White fans are always a good idea if you don’t want the ceiling fan to be the focal point of the space. 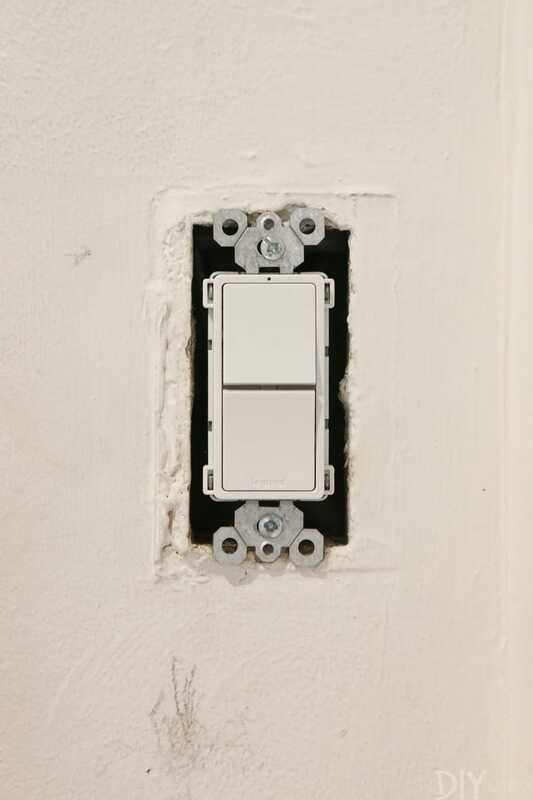 This white one would add function to any bedroom. 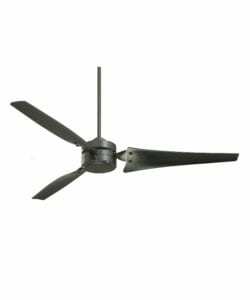 Here’s another black ceiling fan that adds a nice industrial touch to a room, and this one comes at a great value! Plus, more 5-star reviews! What a showstopper! 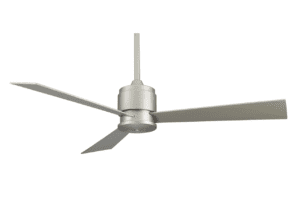 If you’re looking for a ceiling fan that makes a statement, this one from Schoolhouse Electric is perfection. Here’s another great one from Schoolhouse Electric. 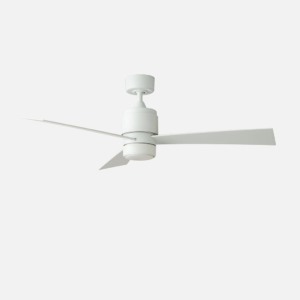 The minimalist design and style on this matte white ceiling fan would work well in any space. 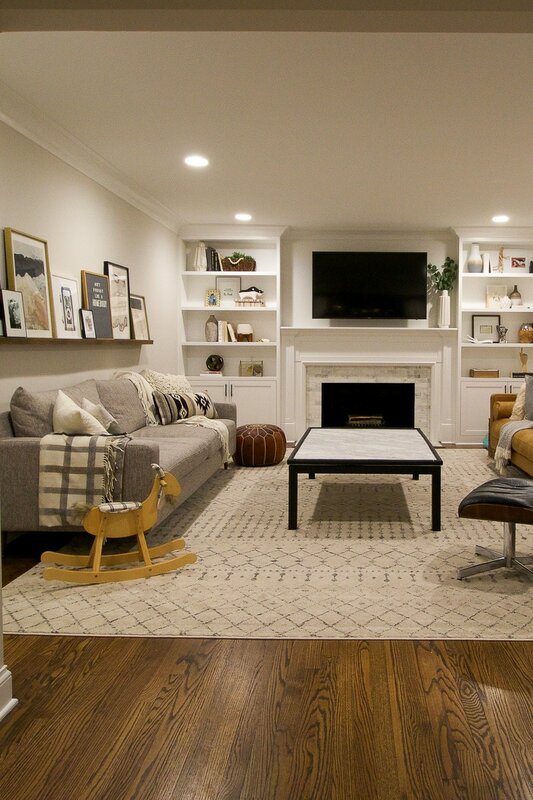 So, yes…it is possible to have a ceiling fan that isn’t outdated and ugly! 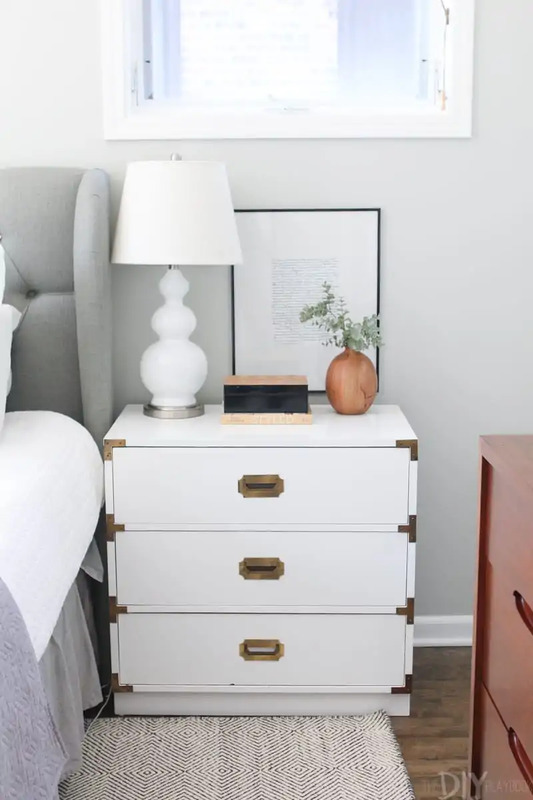 But if you still love a beautiful light fixture in a bedroom, that totally works too. You’ve gotta do what’s right for your space and your home. 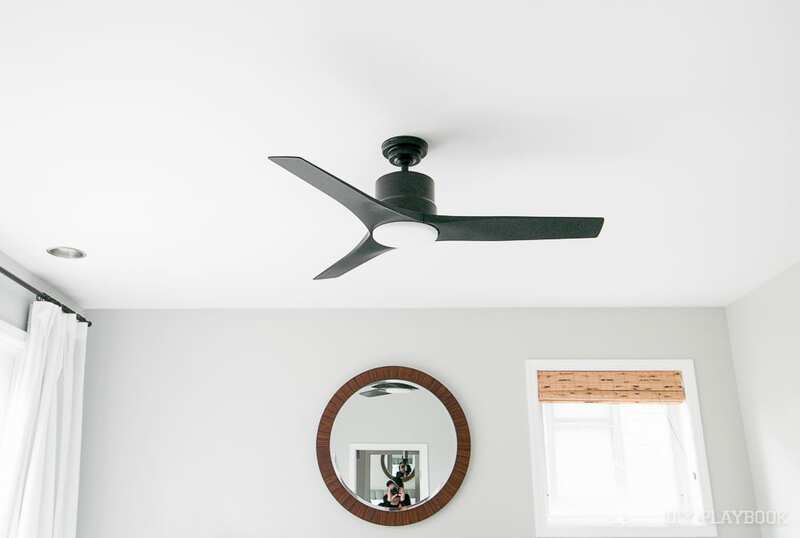 Now that you’ve got your new contemporary ceiling fan picked out, be sure to give this post a read before you install. 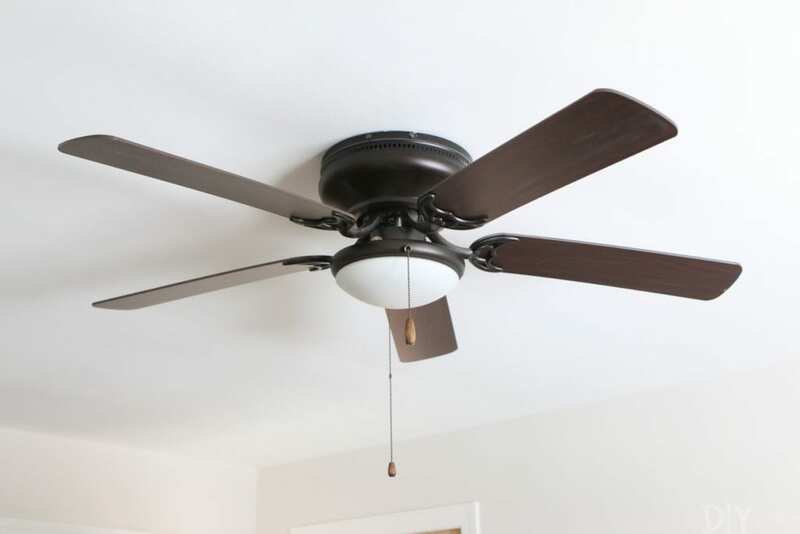 We outline 10 tips to install a ceiling fan in an afternoon! 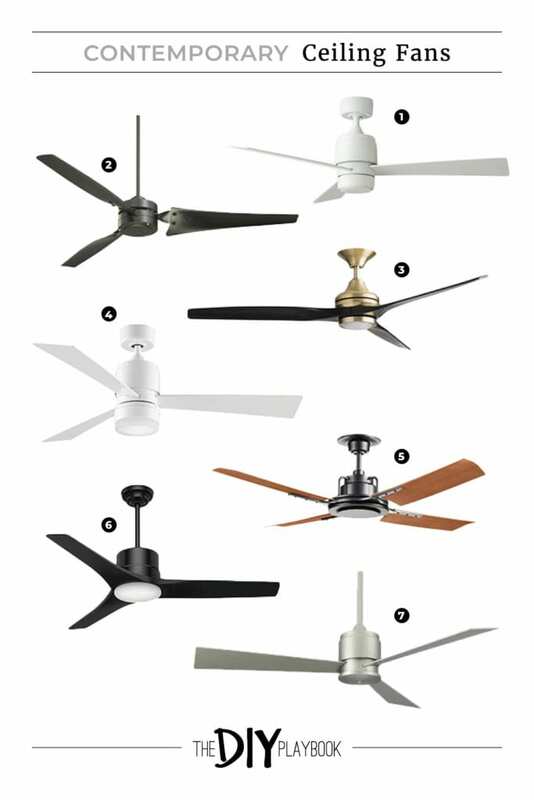 Are you team ceiling fan? 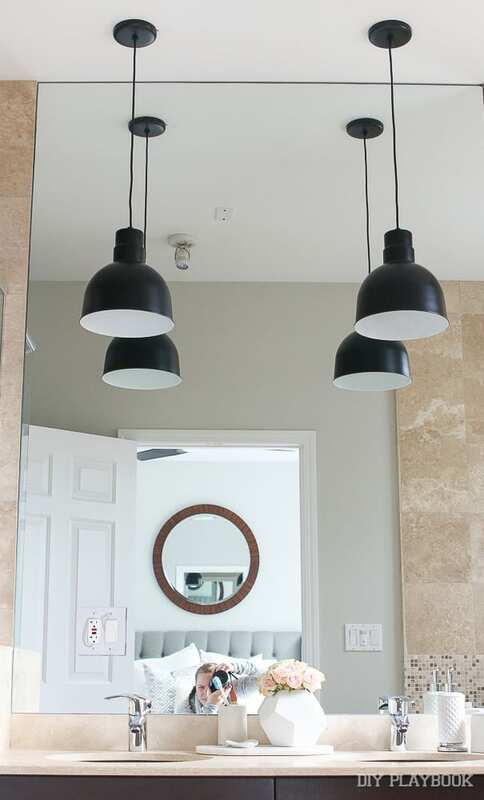 Or are you more about a stylish light fixture in a bedroom?